KAMPALA – Lawyer Timothy Kanyererezi Masembe of MMAKS Advocates has Tuesday, February 12 appeared before Parliament’s Committee on Commissions Statutory Authorities and State Enterprises (COSASE). 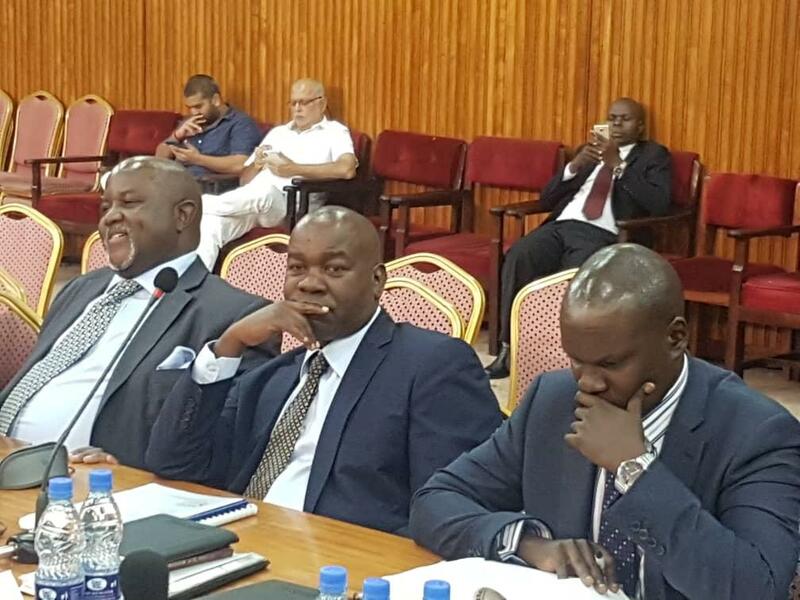 This is after Mr Masembe pocketed Shs900m in the controversial sale of Crane Bank (CBL) to Dfcu snubbed the Parliamentary Committee on Tuesday morning. Mr Masembe was a no show at the Committee where his MMAKS Advocates was appearing. He was represented by other lawyers who were kicked out of the meeting for failing to present crucial documents regarding the sale of Crane Bank. COSASE chairman Abdu Katuntu ordered them to return at 2pm with all supporting documents and also summoned lawyer Masembe to appear in person. Mr. Masembe will also be required to clear the air over whether BoU hired them as transaction advisers in the disputed Crane Bank takeover at a fee of $251,045 (about Shs943.3m). In handpicking MMAKS, MPs have already warned that Ms Justine Bagyenda, then director for Supervision usurped the powers of the legal department by taking over the drafting of the terms of engagement between BoU and MMAKS. The central bank in October 2016 closed Crane Bank, previously one of the best performing banks before controversially selling it dfcu Bank in January 2017 for a paltry Shs200 billion. The central bank then sought to take Mr Sudhir and other directors to court, hiring the services of Mr Masembe and Mr Mpanga, but the city businessman protested saying that the two lawyers had represented Crane Bank and had conflict of interest. The Commercial court later stripped them naked, ruling them out of order. Mr Masembe was three weeks ago a subject of controversy after he was filmed meeting the former Executive Director for Supervision Justine Bagyenda inside the bank premises on a Sunday with the video clipped played before the Parliamentary Committee. MMAKS later issued a statement confirming the meeting happened. The Parliamentary Committee on Commissions, Statutory Authorities and State Enterprises (Cosase) is currently conducting an inquiry into the conduct of Bank of Uganda and it’s officials in the closure of seven banks, with some ending up in massive controversy.